“Where have you been?” you might ask – but please don’t ask. Work and general busy-ness has gotten the better part of me for the last few weeks. Looks like I have about another week of nuttiness and then things settle back down to their normal mad, mad level. But somehow amidst the consecutive seven-day work-weeks (please make it stop!) peppered with social and music obligations, I managed to make it to a show. 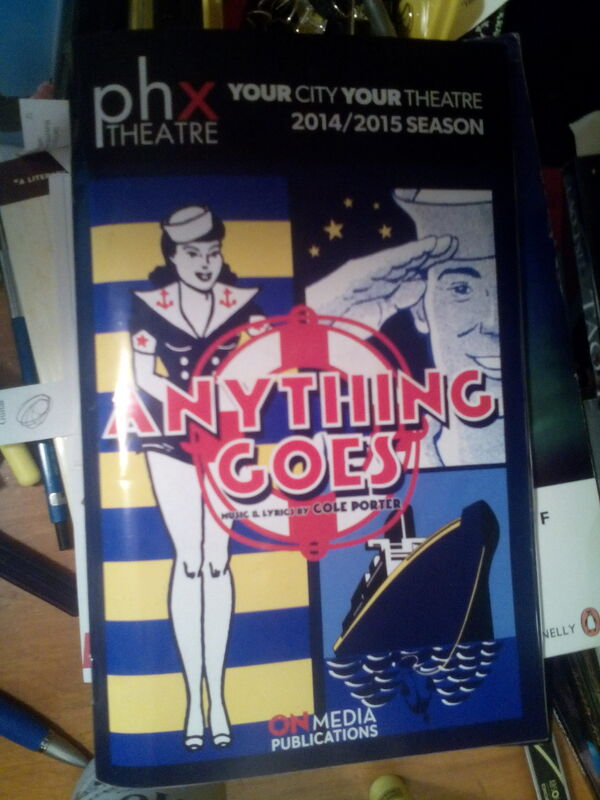 Cole Porter’s Anything Goes. I first got into I Get a Kick Out of You way back in my band and vocal arranging days back in I guess the mid ’80s. I had an assignment to do a take-down of the Frank Sinatra version. I mean, it is a good, strong song, but back in those days you listened to it over and over and transcribed it by ear with a pencil and music score paper and by the time I was finished I was just blown away at the brilliant writing. Cole Porter was genius – pure musical genius. I think this was the version I did the take-down on. I adapted it for full jazz band and vocalist. In the show, Reno Sweeny, evangelist turned nightclub singer, sings this song in Act One, Scene 1 – she likes the lead-man Billy, but Billy of course, is into Hope Harcourt. This is a show with lots of characters, but Reno is the actor at the center of everything, and she also sings the big number Blow Gabriel Blow in Act Two. At the end of Act One she sings the title song, Anything Goes. Plymouth Rock would have landed on them! You can’t do much better in song singing than FRANK singing I GET A KICK OUT OF YOU– that guy made every word meaningful and amazing!!!! !